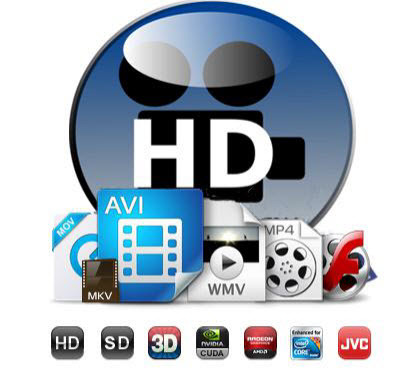 The popularity of HD camera/camcorder such as Sony/Canon/Panasonic and the availability of large amount of online streaming HD movies makes HD media entertainment becomes a hot issue. However, for Mac users, you will definitely encounter format incompatible issues when you try to play HD movies on Apple authorized devices such as iPhone, iPad, iPod, Apple TV, import and edit 720p or 1080p MKV, MOV, MXF, MTS, M2TS, etc with iMovie, Final Cut Pro, Davinci Resolve or other NLEs on Mac, or you may also failed to upload and share those great HD footage on popular video sharing sites such as YouTube, V imeo, Facebook, etc. Fortunately, there are many HD Video Converter for Mac software on the market can assist you to easily fix all those format or codec incompatible issues. How to choose the right one for you will be a hard work. The following article will make a detailed comparison of top 6 best HD Video Converter for Mac for you as a reference.